Since the beginning of video gambling in Galesburg, Illinois, the city is seeing steady growth in tax revenue from the 150 slot machines currently installed. Last year, gamblers lost a little over $7.3 million to video gaming terminals, $336,471 of which went to city coffers. Tax income from video gambling has been increasingly important for Galesburg, a relatively small town in Knox County, Illinois, since 2013 when the slot machines were allowed for the first time. Today, a total of 33 establishments offer 150 video gaming terminals, which are becoming more popular among local gamblers. According to data from the Illinois Gaming Board, people put nearly $26.5 million into the machines in 2018 and lost $7,329,391. Only a small percentage of the net income goes to the city coffers, however. The biggest chunk of the earnings from gambling goes back to the owners of the establishments that host slot machines – these are 33 restaurants, bars, and other venues across the city. They get 34.63 percent of the net terminal income (NTI) and between January and December 2018, they received some portion of a little over $2.5 million. Another $1.8 million went to the State of Illinois, which takes most of the 30% NTI tax rate. Finally, the city of Galesburg received only 5% of the income generated from gaming machines or $336,471. The taxes from gambling go to the city’s general fund of $23.2 million, which is spent on a wide range of services, according to Gloria Osborn, Galesburg’s director of finance. The city uses the money for funding legal services, human resources, city council, as well as various contractual services and more importantly, some infrastructure maintenance projects, fire and police departments, and other emergency services. Many business owners and local officials believe that the tax income from video gaming machines is, indeed, vital for the city. Despite the unknown long-term effects on the community, gambling is among the largest economic activities in the regions, Ward 5 Alderman Peter Schwartzman commented. Galesburg’s officials believe that the tax income from video gaming terminals, as gaming machines are referred to by the Illinois Gaming Board, will only grow in 2019. City coffers are expected to benefit from $379,000 in taxes by the end of this year, while the revenue from fines is projected at $364,940. Another $341,650 should come in licenses and permits, according to estimates. In comparison, Galesburg’s 2019 Budget is worth $23.7 million, up half a million dollars from last year. The increase in the tax revenue from gambling may seem insignificant but the city has had video gambling for only 5 years. In 2013, the net income from the machines was only $2.2 million and the city received $111,449 from taxes. Back then, there were 85 VGTs in 21 establishments. 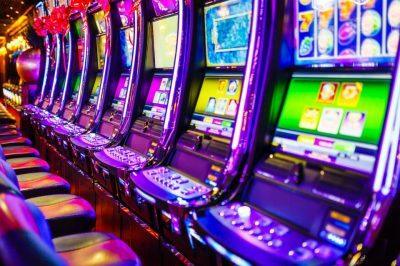 The popularity of this type of gambling, however, is constantly growing, with more bars and restaurants relying on the income from machines rather on non-gaming revenue.